Someone Is Helping You, Wendy Osher. n. A person who invents or uses slogans. An exhibition of artists exploring the visual engineering of language: text that acts like image, image that encompasses text: containing the trigger for a broad host of engineered associations. This exhibition was presented at DCAC as part of a Warhol Foundation Curatorial Initiative Grant. The exhibition has an accompanying publication, with a curatorial essay. You can view it (and download it) in full here. 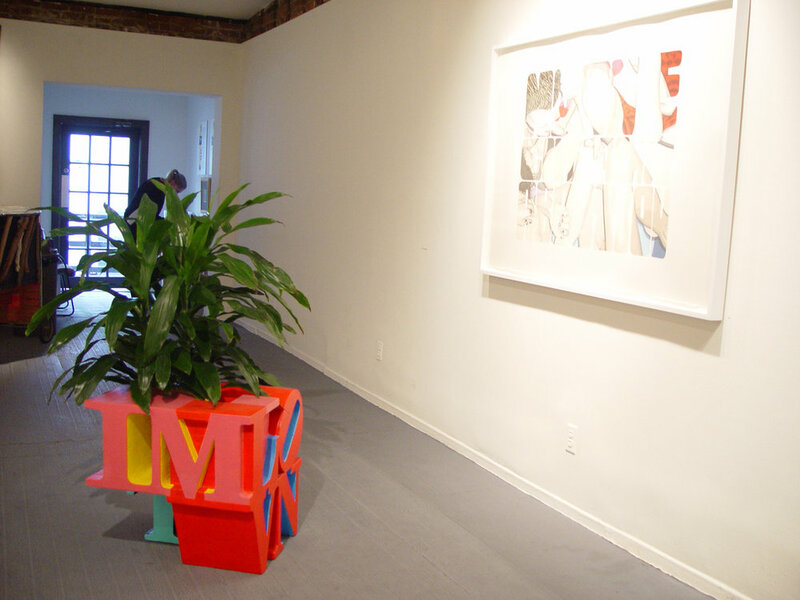 Sloganeers installation shot with Lou Laurita painting and Evander Greenfield sculpture.